A few months ago, Charlotte did a post titled "A Translator's Life" where she walked us through her day job working as a translator of books from English to French. It's not a job you run across every day, and I found it really interesting. 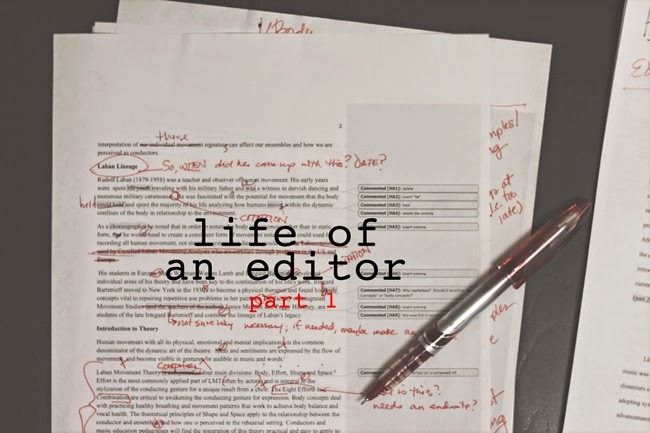 It got me thinking that some of you might be interested in how I got into editing and exactly what an editor does. This is going to be a two-part post. Part 1 will cover how I got into editing, a little bit about my job history, and my general workflow (or, how I edit). In Part 2, I will give some advice for someone wanting to get into editing and answer a few general questions I often get about editing and being an editor. Most people switch their college major at least a few times, but I had always known that I wanted to major in English. I'd been saying it since middle school. This declaration was almost always followed up with: "So, do you want to be a teacher?" My answer was always no. I honestly never did want to be a teacher. For one thing, I don't think I would be a good teacher. For another, it just never interested me. There was journalism, but I didn't (and still don't) think I would like reporting. So what was someone supposed to do with an English degree? Ever since I can remember, I've had a passion for editing. It's such a weird thing to have a passion for, but I seriously love it. This is super nerdy, but one of my favorite things was getting a paper back from a professor with marks all over it and having the opportunity to revise it and turn it in for a higher grade. (Not that I, ahem, ever got ANY papers back with marks on them.) Friends started sending me their papers and resumes to look over, and I even had family members send me different things. So it's hard to pinpoint an exact moment when I thought editing might be a good career option for me, because I feel like I've been editing my whole life. After college, I decided to look for jobs in the publishing world. I applied to all sorts of book publishing companies, magazines (both online and in print), journals, and websites. There are a ton of opportunities for editing that you don't even think about. For example, there are some full-time bloggers who pay editors to proofread their posts before they publish them. And let's not forget the amount of people who are writing books these days. Goodness knows they need editing before they share their works with the world. English is an extremely versatile major, I've discovered, because companies are always looking for people who can communicate professionally and communicate well, and that goes for anyone, no matter what your job it. After all summer searching for jobs, I found one at a book publishing company in Oklahoma, where I worked in the editing department for 4 years. I left in the summer of 2012 to work for an online retail company based in Oklahoma City. 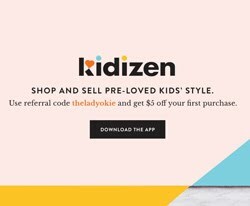 I wrote product descriptions and handled a lot of their online marketing and social media accounts. I knew almost as soon as I started that I wouldn't be there long; it just wasn't the right fit for me. For one thing: I didn't love writing for a living as much as I loved editing. I guess they thought I wasn't the right fit either, because I got fired in February 2013 and was out of a full-time job for 8 months last year. There's a long story about how I found my current job, but the short version is that I Googled a list of nonprofit companies in OKC that were hiring and happened upon an ad for an editor of their monthly journal. Based on what they were looking for, I was under qualified (as in, I don't have a master's), but I had nothing to lose, so I applied anyway. And booya, suckers! I scored a sweet gig at an office downtown OKC, where I get to edit to my heart's desire all the day long. I kind of love it a lot. That is why I always tell people to apply for any job, even ones you don't think you're qualified for. What do you have to lose? As you can see by the photo I used to open this post, although I do edit mostly on the computer, I do still edit occasionally with an old-fashioned paper and red pen. I just like it, especially for articles that need extensive rewrites. I've found it's easier for me to print out the pages so I can flip through them, draw lines, and circle things rather than scrolling and clicking. It's also a needed break from staring at a computer for hours on end. Plus, on really nice days I take my papers and sit outside and edit. Winning. The majority of my editing, however, happens on the computer in a Word document using Track Changes. If you're not familiar, Track Changes is a program that highlights changes you make in the document as you make them, so I can add or remove commas, add notes, and make suggestions, and the author will be able to see everything and accept or reject changes if they want to. This is the easiest way to exchange notes with an author and allow them to see all the changes that I am requesting. At my day job, it's not uncommon for me to edit an article five or six times before it's ready for print. And I always read the entire thing out loud at least once. That's the best way to catch any tiny errors your eyes might jump over if you read through it on the computer. 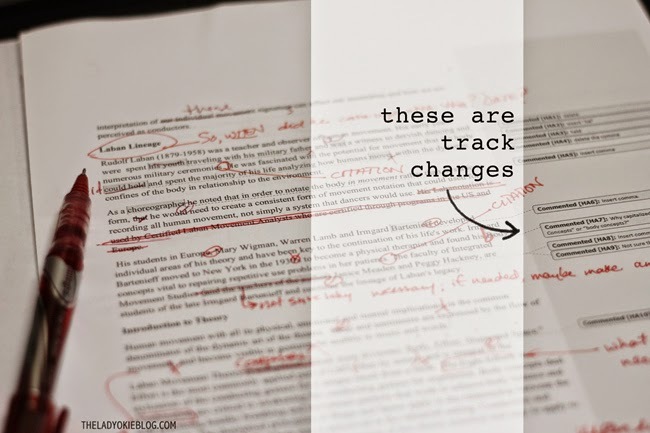 When I'm doing freelance editing, I either do one or two edits, depending on what the author pays for. The first round is always more expensive because it's more extensive, but as you move through the editing rounds, the book is (hopefully) better, so there are less edits and it takes less time on my end. I really can't explain how I edit as far as how I actually do it. I just read something and am able to see how a story or article works and the ways in which it needs to be changed to make it better. I can't tell you how I learned it or why I'm good at it. I just know that it's something I love doing, and I hope I continue to love it for a very long time. Got any questions for me? I'll be covering some FAQs in Part 2, so let me know if you have a burning question about editing that I can answer for you! The job my husband is in currently - he was actually the least qualified person interviewed for the job but he shone in terms of personality, enthusiasm and fresh ideas and they hired him with a slightly lower salary for the first year, using the excess money to send him on lots of training. I think I would love an editing career. One of my favourite things about working as a teacher is the marking of work! My teacher friends think I'm mad! But, like you, I like to see things improve. I've always loved editing, but I don't think I'm good enough to do it professionally. I have several former students who still email me their college papers to proofread. They all told me they got As in those classes, so that's a good sign? But then again, they were already good students/decent writers. I can't handle editing on a computer though. Even when I know I have to email the final product (mostly to the ones in college), I do all the work on paper first. I just need to SEE the red marks and arrows for it to make sense to me. Shrug. No, that makes perfect sense to me. I've been working on this article for a long time now, and I keep having to rearrange paragraphs and stuff, and it's so much easier for me to draw on the paper, make arrows, etc. and THEN translate my notes to the computer. Plus it's easy to get distracted by the computer, so it's nice to look away and just focus on the paper in front of me. In other life, I would have loved to be an editor. Sadly, no English background or legitimate experience for me. So wonderful that you love your job! And by "other," I of course meant, "another." Embarrassing. I'm thinking I won't quit my day job. Haha! Ha! No judgment :) Seriously, I'm sure I have a few typos in my blog post. Human error is always something to account for. I mean, I found more than a few typos when I read the Harry Potter series a few years ago, and that was HARRY POTTER. So yeah. as one of THOSE people who is writing a book these days, I'm very happy to hear you're still doing freelance editing :) I had to print out my manuscript over the summer to make edits because I just couldn't look at it on a screen anymore... I totally understand the need to have pages and a pen to work with sometimes! as far as questions, I'd be curious to hear about dealing with people's different writing styles and how you handle that. whenever I "edit" my Husband's work it drives me nuts because his style is so different from mine. 1. When I first read that you wrote product descriptions, I couldn't help but think of Elaine in Seinfeld who did the same for J.Peterman. I always thought that was a made up job for the show, but I guess SOMEONE has to write product descriptions, right? Those poor souls. 2. My second thought reading this is "Oh crap. She reads my blog and she's an editor and my blog is a hot mess and I cannot formulate a correct sentence to save my life." Thank you for not judging me. When my blog gets more than five readers and makes more than a penny a day, I shall hire you. 3. It's SO refreshing to hear about someone who has found a job they love and knows exactly what they want and can talk about it with a passion. No judgment here! Don't worry :) I will really only judge you if you start using U R and stuff like that. We're all human. I make mistakes too for sure! And yes, that job has given me such a different insight into the descriptions I see on menus and websites. Someone writes those! Maybe some people like it, but it was not at all for me. I really like the sound of this! I was a writing tutor for a semester in college and I really enjoyed it. But I'd have to clean up my act - these days I barely reread something before I post it. Someone else mentioned different writing styles. I'd be interested to hear about that, too. When I used to check my sister's papers or vice versa, we'd occasionally run into something and debate whether it was stylistic or bad formatting. I am totally jealous of your job. I was also an English major in college, but I didn't really have a whole lot of direction during those four years. I wanted to get into editing, but I thought the only way to do that was to move to NY and find a job there. I guess I should have utilized my counselor more. Now I'm an executive assistant and lacking the passion in my career that you so clearly have. I'm really looking forward to your second post! Well, I definitely looked for jobs in NY. I don't know if I could survive there, though. I think it might eat me up and spit me out! haha. I really do have a passion for editing, and it's something I don't take for granted. I'm the webmaster for the English department at the university I'm getting my master's at. I'm going to share this post on our FB page since there are a lot of us interested in editing. Thanks for sharing, friend! I loved reading this post!!! I've been "everyone's" editor for years and have always thought it would be fun to work in some kind publishing house, newspaper, or whatever. It's the whole WHERE and how do I found out about opportunities that gets me. I don't have any specific questions (mostly because I don't know what to ask)...but I'm looking forward to pt. 2 and the questions that others ask! Also...That thing you said about applying for jobs that you are under qualified for was super helpful! My Mom is always telling us to try because the worst they can do is to say no. But, the best they can do happened to you which is proof that it is worth it to put yourself out there! Love this post! I tend to be somewhat of a grammar Nazi at times (hopefully I do it silently in my head! )...but I also struggle with having a "passive voice" in my own writing. I need to study up on that because, for the life of me, I can't understand why moving a single word to a different place in the sentence makes it any stronger! I have to be honest I saw the title of the post and was like I'm not reading that. Because...I hated English class and editing is beyond me, so I read it! And I am glad I did it was very interesting! I wish I had a better knack or one at all for editing and grammar! Then I thought oh man don't read my posts haha! I'm sure the errors are glaring to you! Anyway it was very fun to read and I am so jealous you can take your work outside!!!!! I find your current editing job super fascinating. What a perfect find for you! How does it compare to editing for a publisher? Did you like working for the publisher? This post is so interesting! I actually have a lot of questions, but I'm going to try to keep them to a minimum. -Do you ever have a hard time reading books/blogs for enjoyment because of grammar and formatting errors? -Do you mentally edit people when they are talking, or do you just stick to editing written stuff? - (Stupid question) I was a science major, and I don't think I ever had a good high school English teacher. What do you do in a college English class? Do they teach, like, sentence structure and grammar? I know that last one is a really weird question, but I've never been taught ANYTHING about grammar. I just guess and try to imitate what I read in books. I'm really looking forward to part 2! 1. Kudos to your parents for supporting their kids' college majors and career paths. I'm so glad your major was English and not "English and Businessbecausemyparentsmademe". 2. Why did you specifically seek out nonprofit opportunities in your area? Also, this may be too much for the blog, but I am curious whether you have a career trajectory in mind. Do you aspire to work for yourself full-time? 3. I'm curious whether you're done with school forever or if you ever consider/have considered going to graduate school. 4. What does your supervisor do? Alternatively, what would the next step up for you look like? Yay, I couldn't wait to read that post! That was really interesting to read. I work hand in hand with my editors and I absolutely love/respect their skills, since they add the finishing touches to my work! Well done, you. I've had to validate an edit on paper once, but I really like the Word system better. It's quicker and I love the comment system. I remember fielding "So are you going to be a teacher?" questions when I was studying English in college. I'm currently a freelance editor for publishers. In my case, I copyedit Word documents but proofread hard-copy "typeset" pages. In my experience, the benefit to working with hard copies at the proofreading stage is that it allows me to catch errors that are introduced during the text-formatting and page-layout processes. I'm looking for things as tiny as an unnecessarily italicized period. Usually when I proofread a hard-copy book, I have access to it in digital form as well, though, so that I can still take advantage of the search functions, etc. As for questions, I'm curious what you find to be your biggest challenges as an editor. Looking forward to hearing more about your experiences! Thanks for sharing! I am so excited for the post(s) that follow this one. 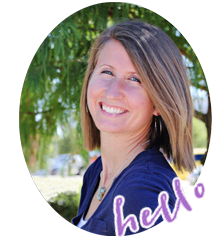 I love hearing about everyone's "other" jobs in the blog world! I'm so glad that you're writing this series. Just a couple weeks ago my principal and I were talking about my career plans (I've been very upfront about staying with my current school for three more years and then packing up and leaving the province) and she suggested if I can't find a teaching job right away I should look into editing while I'm on the job hunt. I'm an English teacher and I love editing too. I do quite a bit of it for our school documents and I've just agreed to edit for someone doing their Masters. I can't wait to read the next post! How interesting!! Editing is the least favourite part of the writing process for me, how perfect that we are all different! I have already decided that if I ever do write that book I keep talking about, that I will hire you as my editor! I find this fascinating. In my next career, I think I want to be an editor. It's great that you love what you do. And I like the tip about reading something aloud at least once - you are so right, mistakes pop out that the eye skims over if the reading is all internal. Is it challenging to edit something that is very technical and dry? I feel like my mind would probably wander. Also, do you find that you re-write things pretty frequently to improve them, or do you usually keep the general structure of the first write-up, even though it's not how YOU would have phrased something? When I look at things for other people, I'm always so tempted to just scrap what they've written because I would say it differently. Super interesting post! Looking forward to part 2! This is super duper interesting. I think that is really neat that you have a gift for editing and have been doing this since you were young. Random Fact: I LOVE grammar! I wanted to be an English teacher until I went to public school and realized they don't teach grammar but just read all these English novels. Plus, I forgot half my grammar ... as you know! but i must admit the entire time i kept thinking "MY GOSH she must hate the way i write!" Sounds like an awesome kick booty job!! I would have never thought I could be an editor so that's partly why I never once thought about it no matter how much I've always loved to read and write. That sounds like such an amazing job. I would love to work for a publisher and get to read books all day. So cool you got the job even without the Master's! I am with you, i love to edit more than I love to write. I went to journalism school, but I hated reporting too. Thankfully they had advertising and PR tracks, so I ended up officially majoring in advertising, but I worked as a newspaper copyeditor for a long time and looooooved it. Maybe someday I'll get back into editing professionally. :) You made me miss it! I am not quite sure how I missed this post... but I am glad you linked to it today. I thought this was sooo interesting. I do have a few questions, but I'll read your FAQ post first. Hi, Amanda! For years, I have been the unofficial editor my friends, family, and coworkers have turned to for help. Until reading this post of yours, I have never before thought about creating my own freelance editing business thingy. How the heck do I begin that? What do I charge? Or what do YOU charge? I could definitely use some guidance based on your expertise. I am intrigued by this possibility! You can basically charge whatever you want. You need to decide if you want to charge by the hour or by the word count/page count, etc. I would recommend just Googling info on average editor’s fees. Everyone charges different things, so it’s just what you think you should get paid to do! 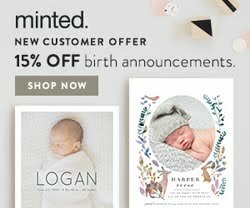 You could make business cards with your email address on them and give them to family and friends to hand out if they have the chance. Mostly a lot of it is word of mouth and just letting people know you’re available. I do all my payments through PayPal, which works out really well and seems to be easy for everyone. Hope that helps a little bit!